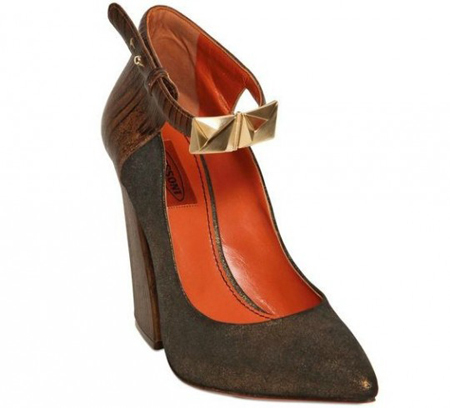 LOVE LOVE LOOOVE these shoes! 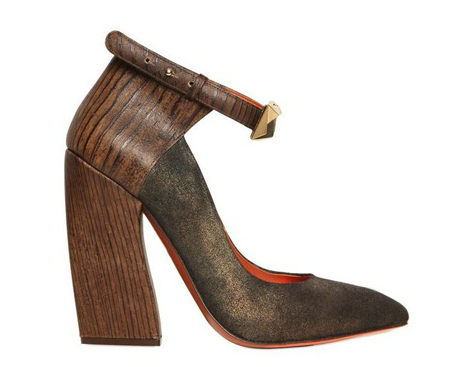 The mix of texture, the wooden heel and suede skin, is to die for! The shape of the shoe makes it very versatile for any type of occasion but the clasp with the gold studs definitely adds personality to the shoe. I would rock these heels from day to night. Too bad these shoes are way out of my budget. What do you think? Do you love them or hate that you love them? !